Last edited by Mark R on Tue Jun 11, 2013 2:08 pm, edited 3 times in total. see lost and found section! if you find any kit on the river! Currently a river wide tree in the first gorge section, no easy way to portage from the eddies above so be careful, we just managed to sneak under at around 2 on the gauge but higher than this and it could get dodgy. Ran this today. Beware that there's a large tree down at the bottom of the gorge under the road bridge which doesn't look like its going anywhere anytime soon. Can be paddled under in medium flows. A good, little blast. Tree, half way down the Gorge - River Right. Photo shows a level of 2.4. Per my post in January, there's still a large tree across the gorge at the bottom which can be manoeuvered around at medium flows. A couple of other trees to watch out for in the gorge, but nothing you can't paddle around on sight if you're cautious. Also, the local angling club seems to have put up a 'No canoeing' sign by the bridge at the get-on. Not sure if this is new, but I saw some other boaters being told they couldn't paddle by locals who looked as if they might have been fishermen. 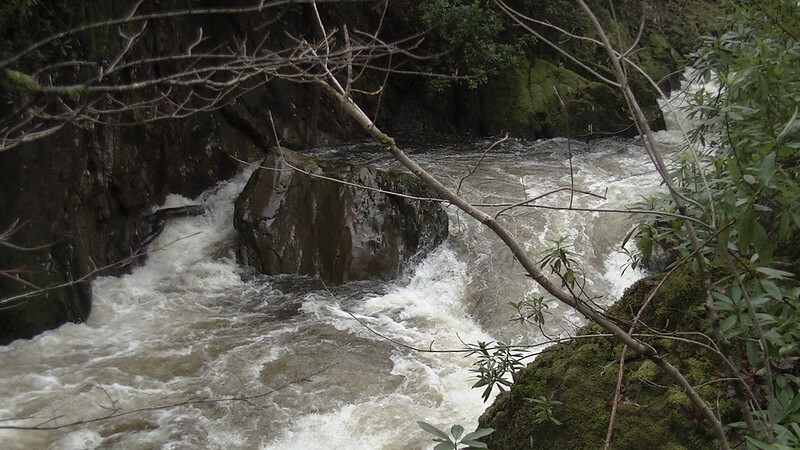 Just wanted to share a few things about the river near Dolgellau after paddling it this afternoon. Access is an issue with this river and today a gent claiming to be the land owner, driving a Mitsubishi Shogun, approached me and told me I couldn't paddle, he threatened that if I did, my car would be vandalized. I parked elsewhere. Also, I am aware that many know there is a van in the river and at present it is posing no real risk, just chillin in an eddy at the end of the gorge section. However, immediately after it is a rapid with a river wide tree blocking passage. This could prove dangerous in higher water (I paddled it in low flow). Portage was a tricky scramble up the right bank. Please feel free to share this information or advise where else it may prove useful. Many thanks and happy paddling. Just to let everyone know about a new tree on the Wnion that Aber Uni Canoe Club came across today. Just after the end of the first gorge proper, there is a large tree across most of the river coming in from river left. Its clearly visible in the river on a straight section. It can be sneaked with caution at medium flows (1.9) and above on hard river right, portaging around it would be awkward however. Finally its a tree which will need to be cut out for the problem to be solved, as its an entire tree in the river which isn't going anywhere, so I expect this will remain an issue for some time. Paddled on 12 December on 2.6m, absolutely pumping! Tree was not easy to spot, only just made the last eddy above it on river left! It can be passed on far river right but you would not want to screw-up! 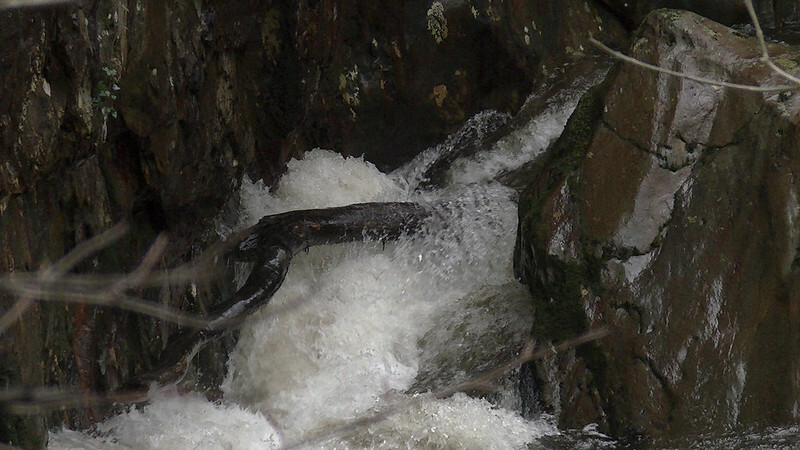 Large, dangerous tree completely blocking the last rapid in the gorge at yesterday's low-medium levels. Not far upstream of the disused railway bridge. Had to climb up and out river right into a layby - emphatically recommend inspecting before paddling.